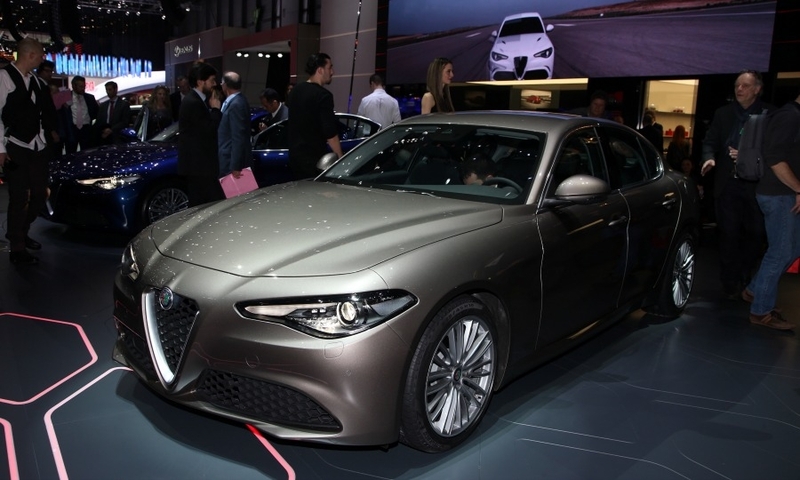 GENEVA -- Alfa Romeo delayed launching its new Giulia midsize sedan to make sure it would be a true rival to competitors such as the BMW 3 series, said Sergio Marchionne, CEO of the brand's parent, Fiat Chrysler Automobiles. "The project was technically immature," Marchionne said at the auto show here. "We will start only when we are on par with the Germans, otherwise it is not worth the effort," he said. 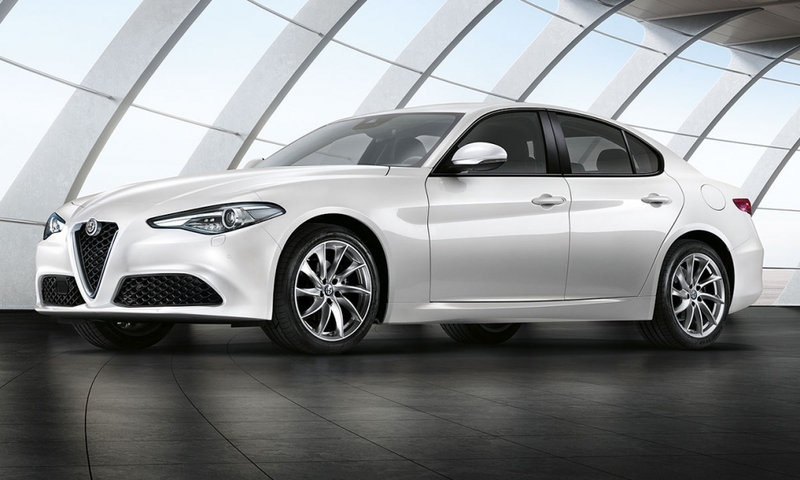 Alfa said that orders will open for the Giulia in Europe starting April 14. The car will launch with two turbocharged gasoline engines: a 2.0-liter gasoline engine and a Ferrari-derived 505-hp twin-turbocharged V-6 gasoline on the high-performance Quadrifoglio version. In Europe, a 2.2-liter diesel will also be offered. The Giulia Quadrifoglio will start at 79,000 euros in Italy. 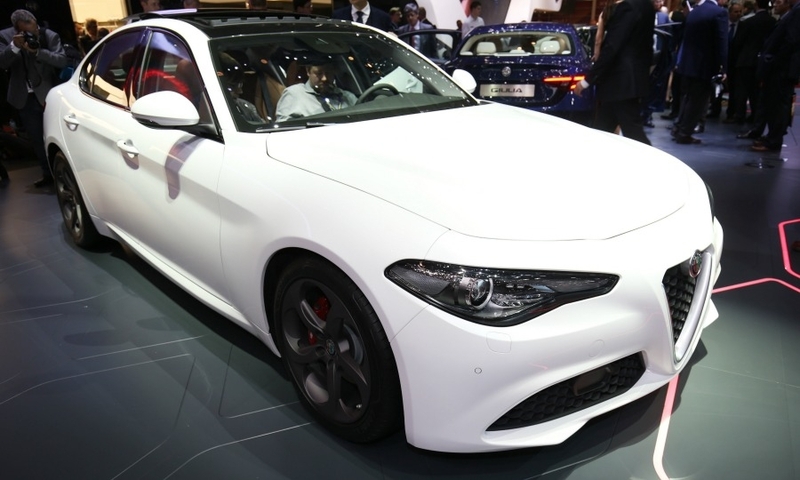 Alfa has not yet released prices for the other versions but the prices will be benchmarked against equivalent BMW 3-series cars, an Alfa spokesman said. U.S. sales of the Quadrifoglio version will begin in the third quarter, with the 2.0-liter version arriving in U.S. showrooms by year-end. 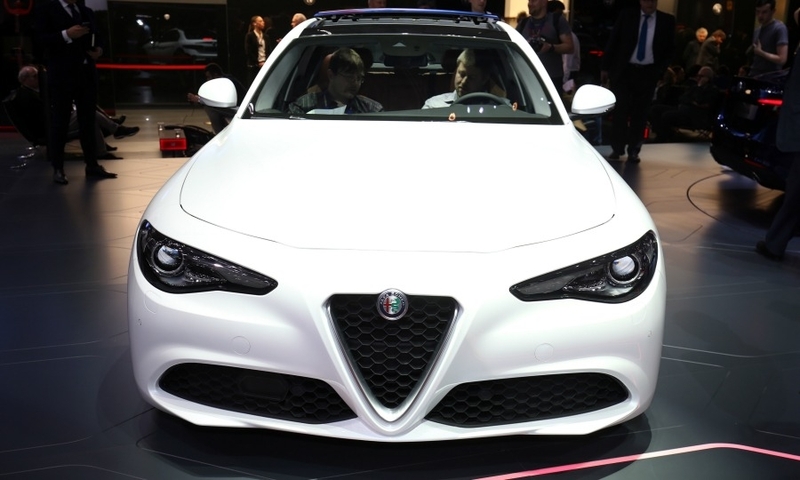 The Giulia Quadrifoglio will start at $70,000 in the U.S, Alfa said. 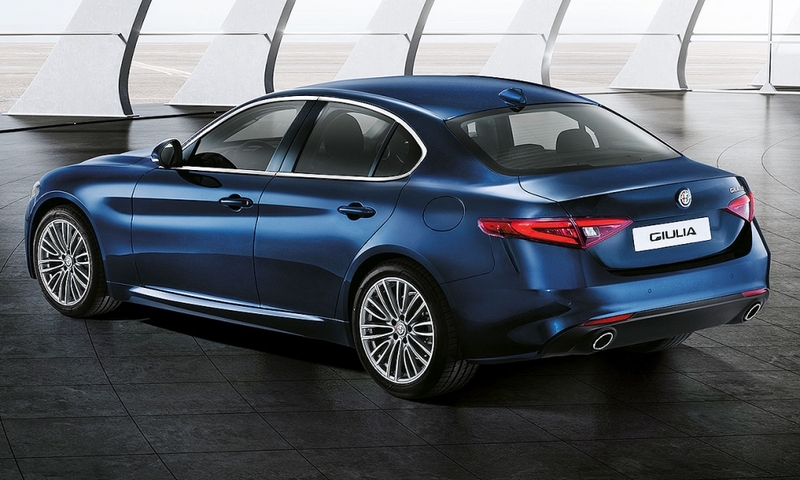 The Giulia is the first Alfa Romeo to use FCA's new rear-wheel-drive architecture, called Giorgio. The brand said the use of lightweight materials for the car's construction had cut the dry weight of the 180hp 2.2-liter diesel version to 1,374kg. The car has a carbon fiber driveshaft and uses aluminum for the doors, fenders and the construction of both gasoline and diesel engines. 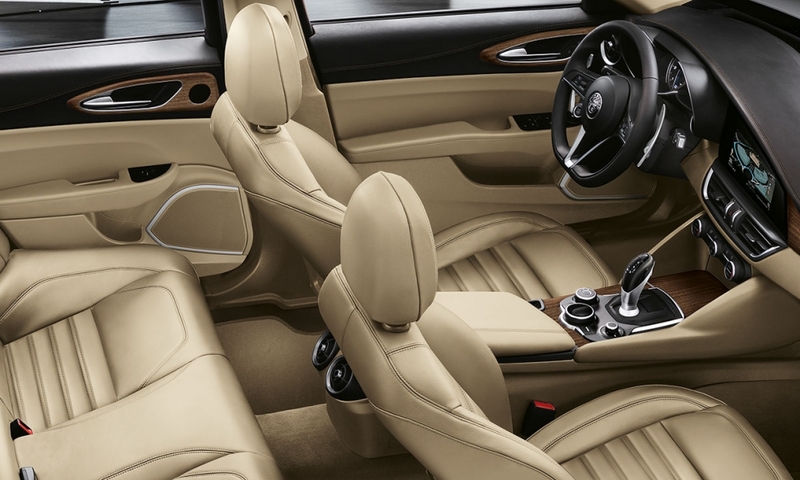 Alfa claims the weight saving materials increase body rigidity and the power-to-weight ratio. The Quadrifoglio version extends the use of carbon fiber for the hood, roof, front splitter, rear spoiler and body inserts to partially offset the increased weight of the V-6 engine. Alfa says the Quadrifoglio will accelerate from 0-100kph (62 mph) in 3.9 seconds, a time Alfa says is the best in its class. 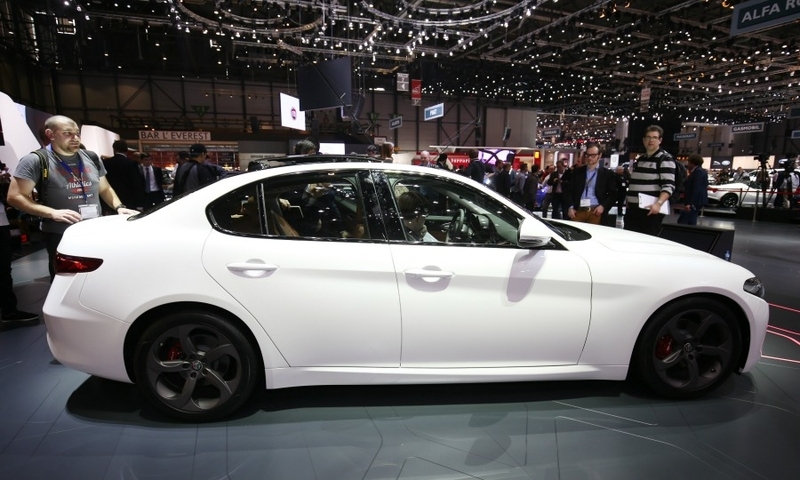 Technology on the car includes what Alfa says is a new braking system that combines the stability control system and traditional servo to reduce stopping distances to "record-breaking levels." Alfa claims the standard car will go from 100kph to zero in 38.5 meters and 32 meters in the Quadrifoglio with help from its carbon ceramic brake discs. All cars will come with radar-control automatic emergency braking. 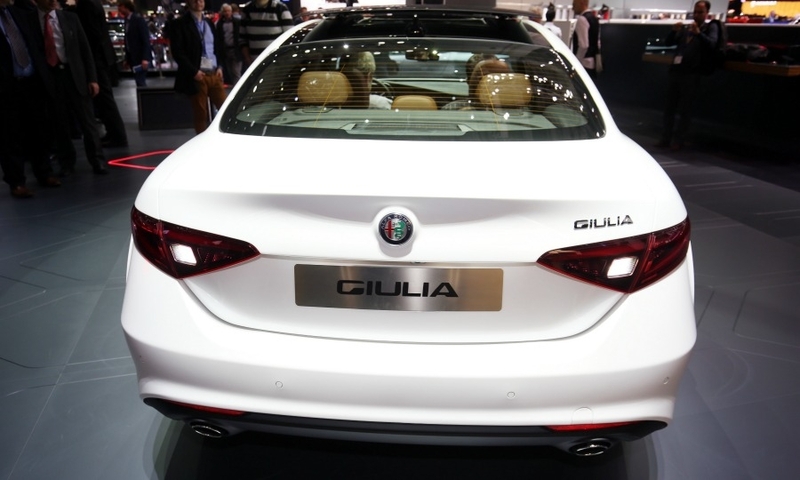 The Giulia Quadrifoglio was previewed at the Alfa Romeo museum in June 2015 and it was due to launch in Europe by the end of the year, according to dealers. However, the sales launch was delayed because the car failed to pass internal front, side and rear crash tests, which resulted in extensive re-engineering, supplier sources have told Automotive News Europe. Last month, FCA lured former Ferrari chief engineer Roberto Fedeli back from BMW Group to help fix mounting technical challenges at Alfa and sister brand Maserati. 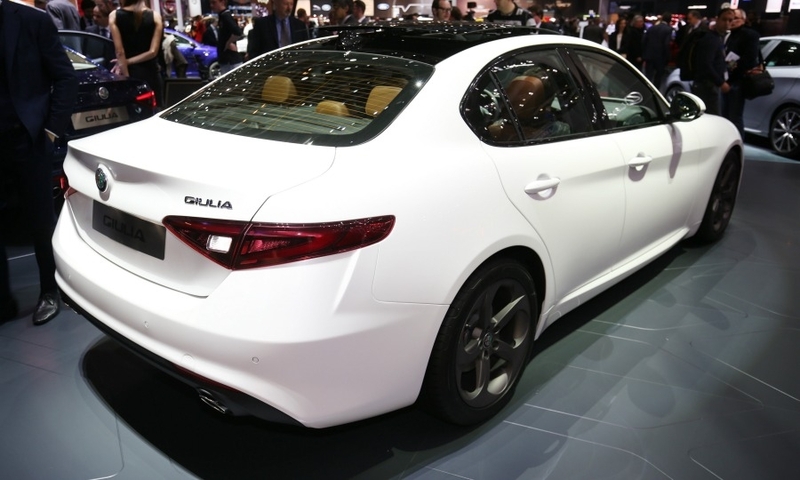 In Geneva, Marchionne said the Giulia's long development process was crucial to ensure the car was perfect. "The brand has historically failed to meet its technical ambitions. If we get that wrong we might as well go back home," Marchionne said. 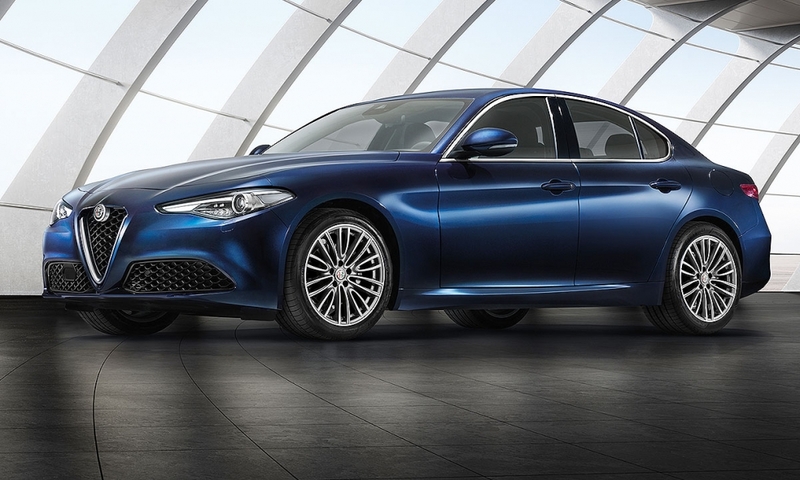 "If the Giulia doesn't give the best possible performance we've wasted our time, and a pot of money."